Promoting safe training methods to ensure fair competition as well as long term health benefits since 1989. Join INBF to compete as an Amateur in any INBF event. 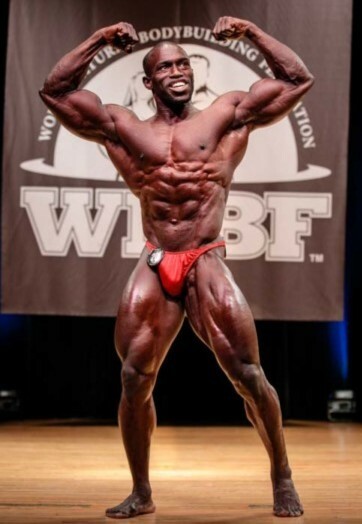 Join WNBF to compete as a Professional in any WNBF event. In the late 1980’s, the World Natural Bodybuilding Federation (WNBF) was founded in New York with a goal to promote drug tested bodybuilding events. All WNBF competitors underwent both polygraph and urinalysis testing as this type of testing was the first of its kind in professional athletics. The integrity of such testing, and following a formidable banned substance list is known and respected worldwide as solely that of the World Natural Bodybuilding Federation. This testing is the backbone of our federation, and it will never be compromised! The WNBF aims to provide information to the population at large regarding the dangers of drug usage in sports activities, and to provide a positive and fair competitive arena for its’ athletes. The WNBF sanctions bodybuilding and physique competitions throughout the United States of America, with independent affiliates worldwide. This span of natural events is the strongest internationally, and our domestic promoters are those with the highest level of integrity and devotion to this great sport. The WNBF supports event promoters, judges, and other agents of the sport to achieve these same goals. Seminars, classes, and training camps shall be promoted nationally to educate and inspire the rewards of attaining fitness goals naturally through the attributes of exercise and sound nutrition. It is with pride that we can report every single member of the WNBF team; leaders, board members, promoters, athletes, and spectators all concur with, and will continue to uphold this platform of drug-free athletics. Stay in the loop with updates on events, competitors, and federation news. Please add me to your subscriber list. We are looking for passionate and motivated individuals who love the sport of natural bodybuilding and support stringent drug testing. Please fill out this quick form and we will get back to you right away. We’d love to talk with you about an affiliation. Please fill out this quick form and we will be back in touch soon.